Subsea survey grade north seeking fibre optic gyrocompass (FOG) for underwater survey, ROV positioning and AUV navigation. MiniFOG compatible angular rotation, heading, pitch and roll plus real-time heave from motion sensor using MEMS accelerometers. 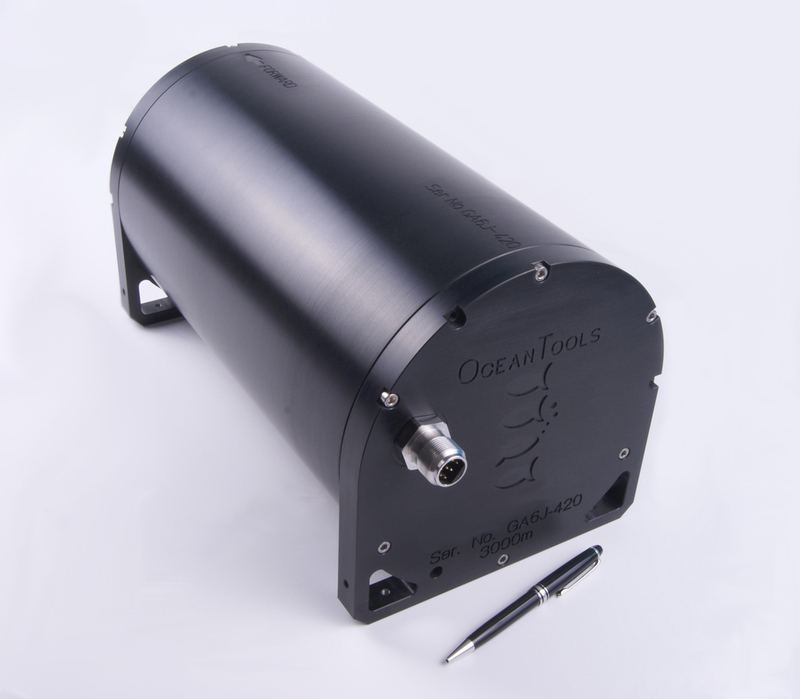 The OceanTools OceanFOG is an Inertial Reference System (IRS) based on latest generation fibre optic gyrocompasses (FOGs) and micro-electro-mechanical (MEMS) accelerometers in a single compact package. Simultaneous twin serial outputs include a user-selectable Flexible output offering numerous message format and baud rate combinations. OceanFOG is suitable for a wide range of subsea and surface applications including survey, metrology and ROV or AUV navigation.